A sweet and eye catchy thank you image wish to share with your sweet heart. A key to keep alive of any good relationship is respecting and thanking each other. 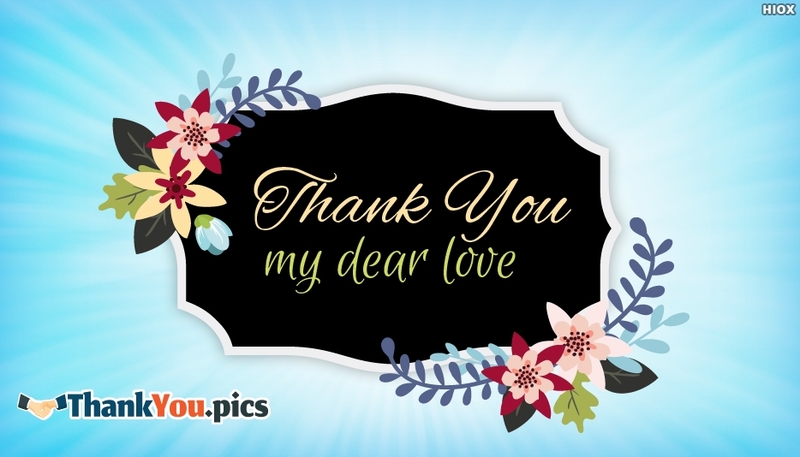 Thank your partner for all the love and happiness by sharing this "Thank You My Dear Love" image through any social media pages.